Origin South America and widely grown on Latin America and the Caribbean. 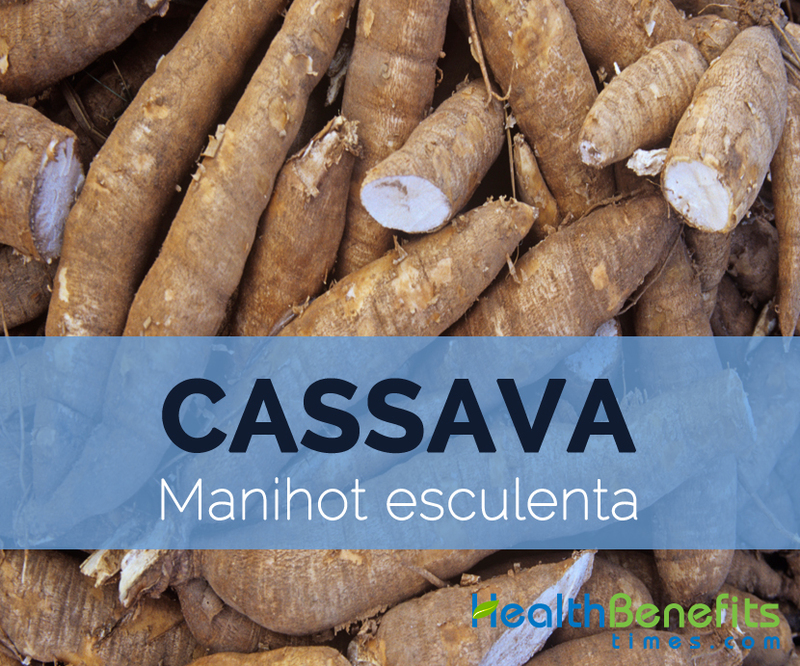 The Cassava (Manihot esculenta) is a perennial plant that belongs to the family Euphorbiaceae. Its large starchy sweet flavor, tuberous root are a consumed as vegetable. The young leaves are sometimes consumed as greens. Manihot esculenta is native to the South America and is widely grown on Latin America and the Caribbean. There are two varieties of Cassava: Sweet and Bitter. Cassava shares the several names including Bitter Cassava, Manicot, Manihot, Sweet Cassava and Yuca. It is cultivated for its edible root as an annual plant in both subtropical and tropical regions. Cassava was originated from tropical America. It was firstly introduced in the Congo basin of Africa around 1558 by the Portuguese. It has become a part of dietary food in tropical Africa these days. 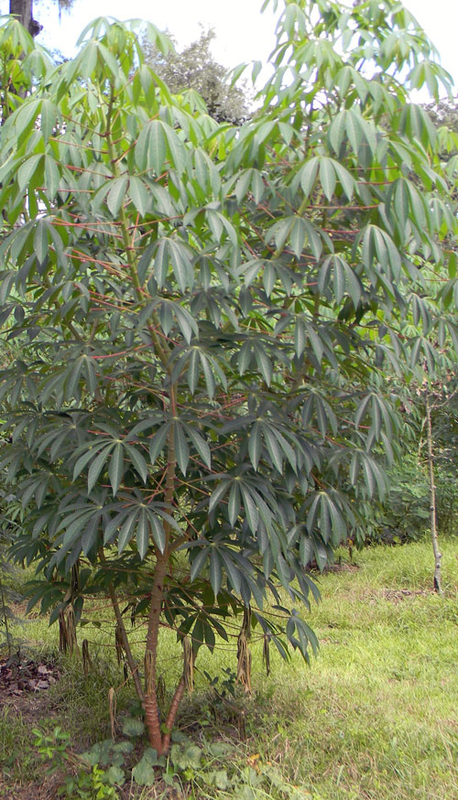 Cassava plant is an herbaceous and perennial plant growing upto 3-5 m in height. It bears dark green leaves which measure a foot in across and possess small sized greenish-yellow flowers. It grows best in tropical climate and thrives in moist, fertile and well-drained soils. The plant possesses the fibrous and reddish brown bark with the smooth erect stem. The plant yields the light yellow, white and dark brown fruit of subglobose ellipsoid shape with 1 cm (1/2 inch) as a diameter. The Cassava plant lives upto one year. Roots are edible, globular and bulky. The root is long and tapered having 1-4 inches as diameter and 8-15 inches in length with fibrous skin whose color ranges in brown. The root weighs about 40 kg. The flesh is firm and homogeneous which ranges from chalk-white to yellowish in color. 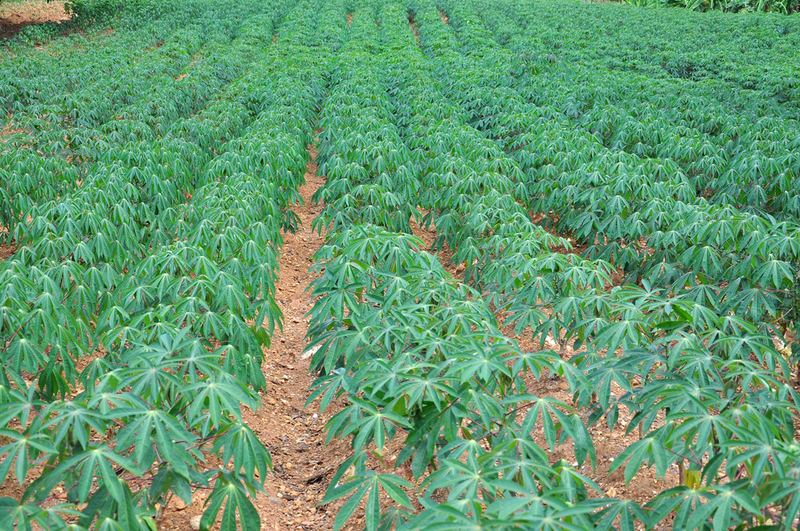 Cassava tubers can grow upto 8-15 inches in length and 1-4 inches in width. The tubers most often weigh from 1 to 7 pounds. The rough and woody textured skin of tuber varies in color from gray to brown. Cassava possess the nutty flavor. The nutrient composition found in Cassava differs according to soil conditions, variety, environmental factors and climate. 100 gm of Cassava provides 1.8 gm dietary fiber, 1.36 gm protein, 16 mg calcium, 27 mg phosphorus, 20.6 mg Vitamin C and others. Calories 160 Kcal. Calories from Fat 2.52 Kcal. Cassava is loaded with Vitamin B and C, calcium, carbohydrates and minerals. Cassava is an excellent source of vitamins such as thiamin, folates, riboflavin, Vitamin B6 and pantothenic acid. Cassava possesses antinutrients which can have either positive or negative effects on health which depends upon the intake of amount. The study conducted shows that the intake of Vitamin C assist to lower the appearance of wrinkles, skin dryness and slows down the aging process. Vitamin C is vital for the formation of ligaments, tendons, blood vessels and skin. It also speeds up the healing process of the wound. The evidence shows that the skin cream with Vitamin C reduces the redness of the skin, scars and wrinkles. The diet rich in antioxidants helps to prohibit skin cancer. The drugs with the cancer fighting effect used in the chemotherapy could be promoted with the high intake of Vitamin C. Vitamin C targets only those cells that require these nutriments whereas normal cells are also damaged by the drugs. Researchers report that Vitamin C is the effective remedy for the treatment of lung and ovarian cancer. Vitamin C has the ability to inhibit the damage caused by the pollutants, toxic chemicals and free radicals. The buildup of free radicals leads to the health ailments such as heart disease, cancer and arthritis. The free radicals develop during the process of breaking down of food or exposed to tobacco, smoke and radiation. The combination of calcium, manganese, copper and zinc assist to lower the loss of bone in the older women who are most prone to the weak bones and bone fractures. The deficiency of manganese leads to the bone ailments since the manganese enhances the bone metabolism by assisting the formation of bone regulatory enzymes and hormones. The studies have shown that the intake of manganese with vitamin D, zinc, calcium, copper, magnesium and boron promote the bone mass which helps to treat osteoporosis. The research shows that the intake of manganese with the minerals such as zinc and selenium is helpful for chronic obstructive pulmonary disease which is caused by the smoking. Manganese is able to reduce the oxidative stress and inflammation by producing SODs. The adequate consumption of manganese with calcium assists to recover the PMS symptoms such as muscle pain, tenderness, mood swings, anxiety and trouble in sleeping. The study shows that the women having low level of manganese in the blood, they experience mood related symptoms and more pain during pre-menstruation. Copper is essential for the brain pathways such as galactose and dopamine which helps to maintain the focus and mood. The deficiency of copper results in fatigue, metabolic activity, poor mood and concentration problem. Copper helps to utilize the antioxidants such as superoxide, Vitamin C, ascorbate oxidase, dismutase and tyrosinase. The antioxidants prevent the brain damage by free radicals and slow down the aging process which is responsible for cancer, signs of aging and neuro-degenerative disease. Copper possess anti-inflammatory abilities which provides relief from stiffness and pain related to arthritis. It strengthens the muscles, repair connective tissue and lower joint pain. The arthritis patients wear copper bracelets with a belief that it can reduce the painful symptoms associated with arthritis. Vitamin B1 assists to sustain the muscle tone on the digestive tract walls. The healthy digestive tract helps to absorb the nutrients from the food that is used to enhance the immunity and prevents from diseases. Vitamin B1 assists in the hydrochloric acid secretion that is required for the food digestion and nutrient absorption. The research shows that Vitamin B1 helps to counteract the vision problems such as glaucoma and cataracts as it is able to influence the signals of muscle and nerve which is essential to relay the information to the brain from the eyes. The usage of starch mixed with rum is useful to treat skin problems. It is also used to treat fever, chills and sore muscles. 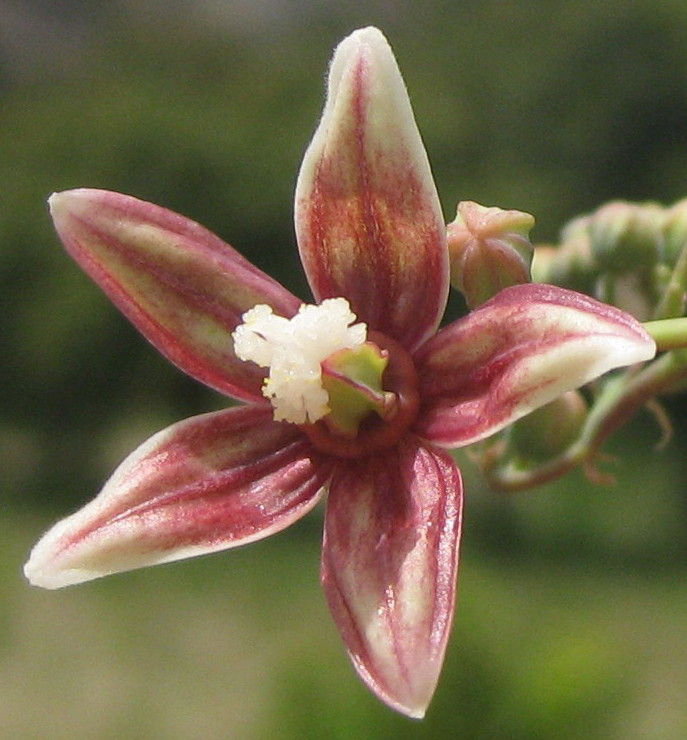 The study on an animal shows that Cassava is effective to treat cancer. The pulped roots and leaves are used in folk medicine to treat tumors. Cassava is useful for the people with coeliac disease because it does not possess gluten. 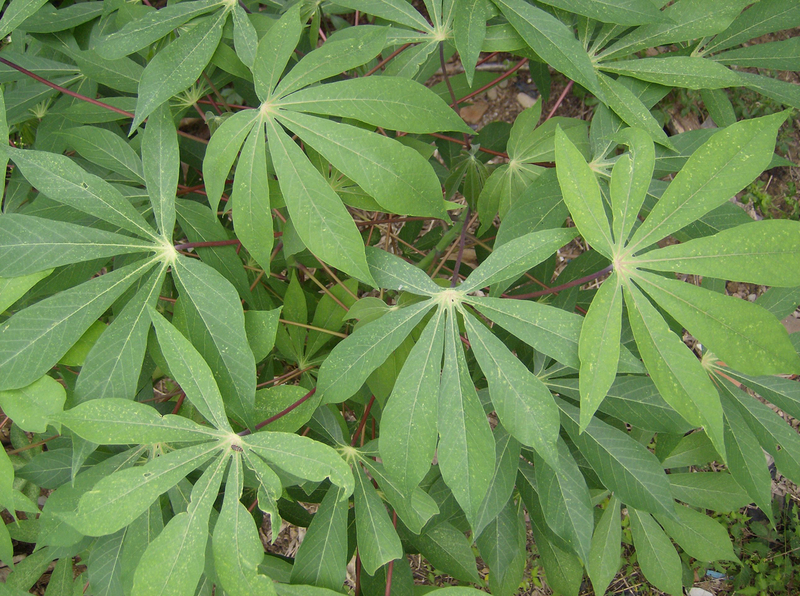 Cassava leaves are also used as the treatment for headache, hypertension and pain. It can be boiled, steamed, mashed, baked, fried, grilled or added to the stews. The root can be made into a flour or ground meal by washing, peeling, grating, pressing the juice and then drying the meal. The young leaves and tubers are consumed raw, boiled or fried. 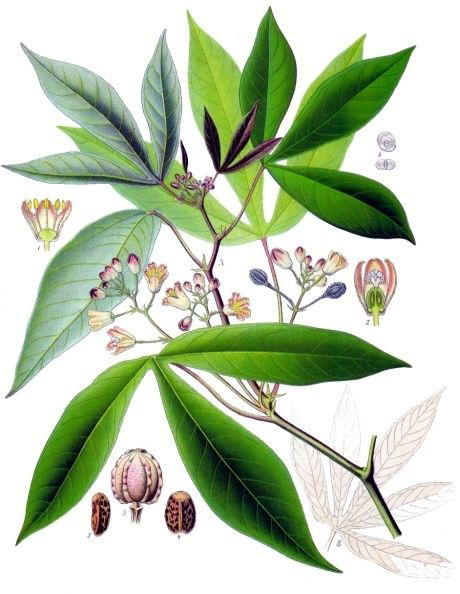 The juice extract from the roots of cassava is flavored with cloves, cinnamon and sugar. 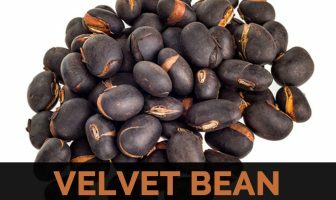 It is also preserved and used as an ingredient to flavor soups and meat dishes. 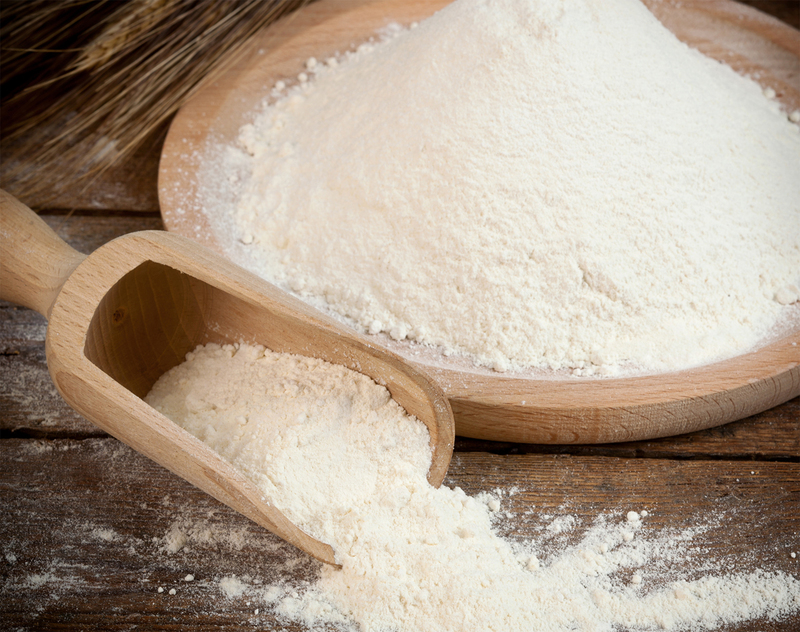 The flour of Cassava is used to make cake, bread or cookies. Cassava should not be consumed raw. 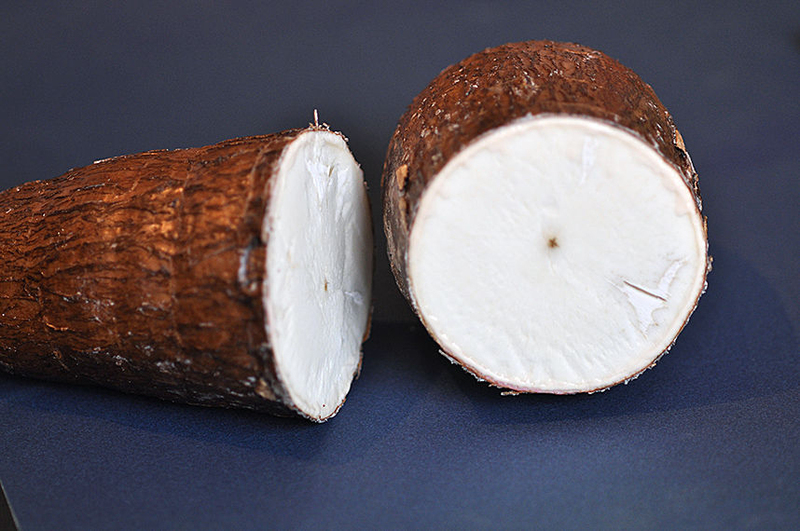 The bitter or wild cassava should not be consumed uncooked because it possesses acid which is harmful for the health. All parts of cassava should be consumed after pressing, peeling and cooking. The people allergic to latex should avoid the consumption of Cassava. The intake of cassava root in raw form leads to cyanide poisoning with the experience of symptoms such as nausea, headache, vomiting, stomach pains, dizziness and death. Cassava is known as third largest source of carbohydrates after maize and rice. Nigeria produces the Cassava in the largest amount and the largest export of dried cassava is performed by Thailand. The leaves are hand shaped which consists of 3-7 narrow lobes. The powder extract from the dried root is used to produce the sweet puddings. 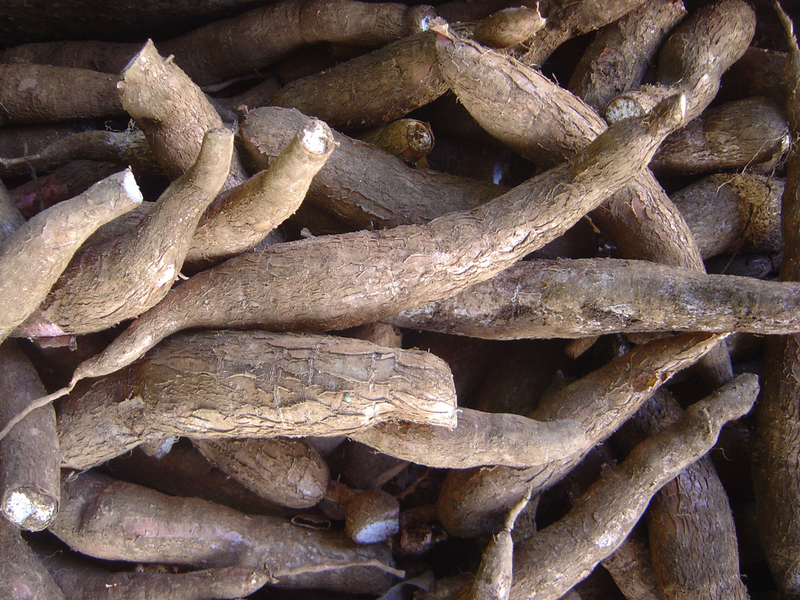 In Caribbean, South America and Europe, Cassava is used as an animal fodder. 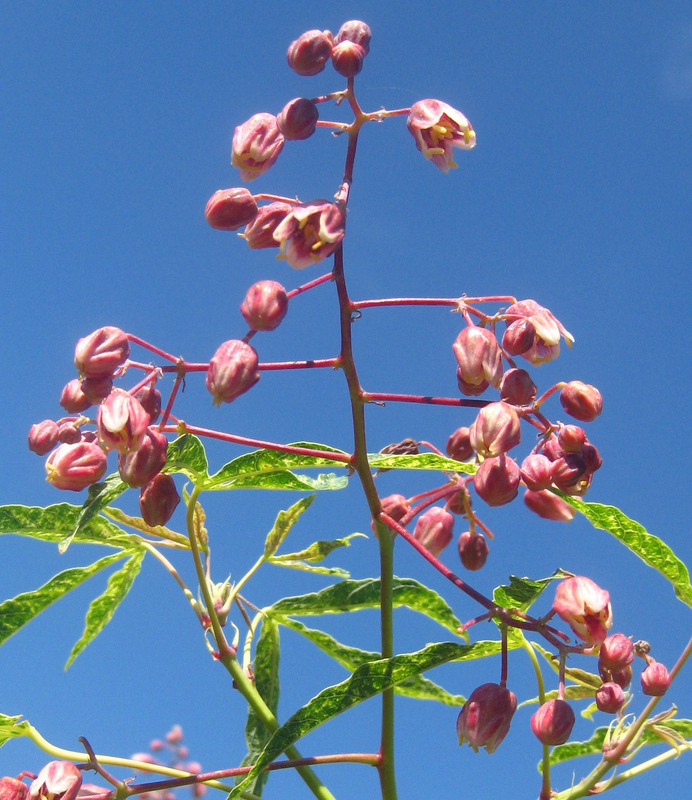 Cassava is the perennial plant which grows upto 6–8 feet high. The appearance of smooth erect stems resembles the plant of cannabis. The leaves are dark green and reddish veined which are divided into seven leaflets. The stems possess soft white pith and nodes. Native South America and widely grown on Latin America and the Caribbean. Calories in 100 gm 160 Kcal.